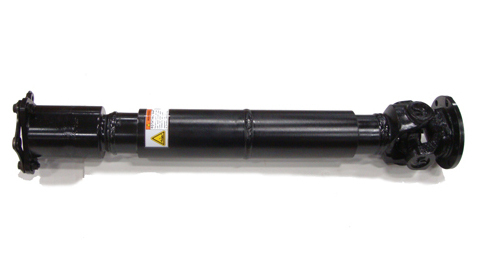 MSI’s torsionally resilient drive shafts are specifically designed for dynamometer test standards. 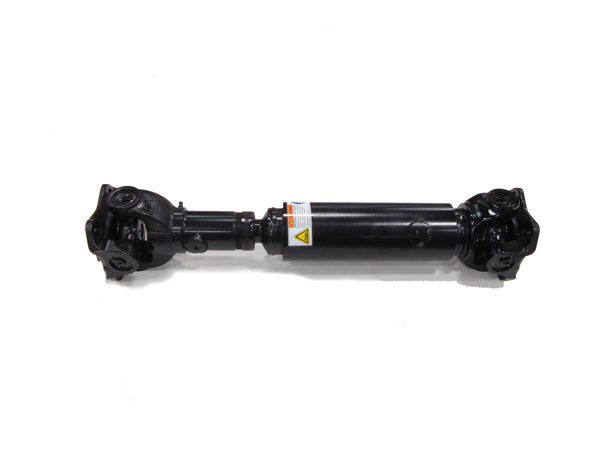 MSI’s torsionally resilient drive shafts are specifically designed for dynamometer test standards. We can manufacture them to standard and custom designs, with a wide torque range that can be up to 3000 lb ft.
We recognize the importance of driveline reliability for testing engine continuity. Enforcing rigid specifications and fabrication procedures for dynamometer drive shafts are stricter than those for any other application. Beyond the ability to engineer the finest quality dynamometer drive shafts, MSI’s highly flexible manufacturing facilities minimize delivery times. All rotating equipment have one or more frequencies. When the system rotational speed corresponds with one of the natural frequencies, a condition of resonance occurs. At resonant speeds, the amplitude of the system vibrations are greatly magnified. 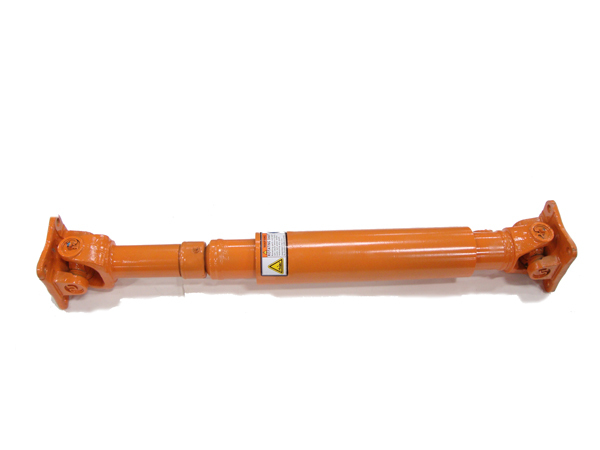 If the system is allowed to operate at resonance, the vibrations can quickly destroy bearings, bolted joints, instruments, mounts, or other associated equipment, as well as the drive shaft. Next to catastrophic overloads, operating at or near resonance are probably the fastest way to damage rotating equipment. All universal joint drive systems including engine dynamometer systems can be represented by a series of masses and torsional springs to calculate the natural frequencies of the system. The destructive vibrations that results in a dynamometer drive from operating at natural frequencies are a function of the combined mass moments of inertia and stiffness of the components in the system. A dynamometer application can generally be modeled as a two-mass system (engine and dynamometer) connected by a torsional spring (drive shaft). In many cases it is possible that the natural frequency of a system can be decreased by reducing the spring constant or increasing the inertia. In a dynamometer application, it is generally difficult to change the inertia. However, by reducing the spring constant, the natural frequency can be positioned between the engine cranking speed and idle speed. With this arrangement the resonant speed is passed through very quickly with minimum magnification of the vibratory torques. 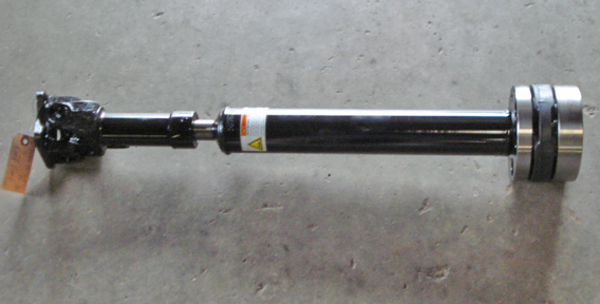 The spring constant of the tubular drive shaft is very efficiently reduced by using an ISO-TEC two-tube shaft, one with a larger diameter than the other. The smaller tube fits inside the larger one and they are joined together with a molded-in rubber element. The thickness, length and durometer of the rubber section determine the spring constant, and therefore the natural frequency of the drive system. 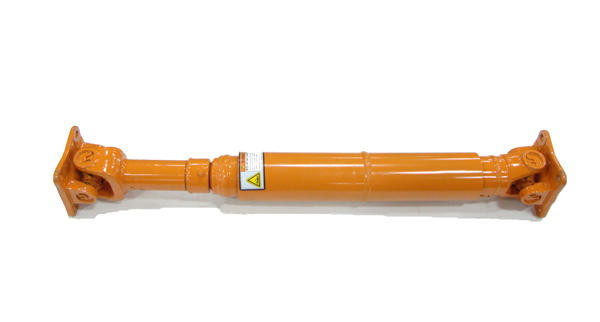 The ISO-TEC shaft provides additional protection, isolating the drive and the driver. Even if the systems are not operating at their natural frequency, the pulsation caused by each engine cylinder firing creates a pulsating torsional energy. This energy, which otherwise could destroy system components, is absorbed by the rubber section.